Easier to see them thru the scope! Following the founding of the NRA in 1871, The Irish Rifle Team challenged the NRA in 1876 to a long range rifle match. It was held at a Range called Creedmoor (a name still existing in the competition shooting community). The 800-900-1000 yard match had a special trophy made known as the Palma Trophy. To this day, the rifles are different, but the 800-900-1000 yard Long Range match is still known as the "Palma Match". All shooting is prone with iron sights. Palma has rifle, caliber, bullet weight restrictions. For years the NRA has also had 1000yd only prone shoots, both scope and iron sight as part of a Long Range Match. These matches have fewer restrictions on caliber and bullet than Palma. 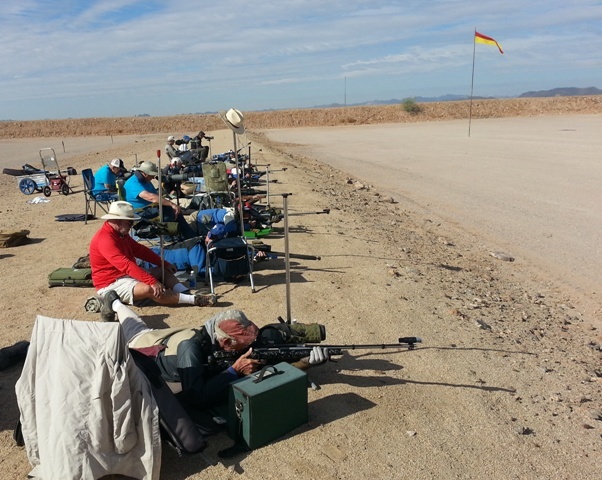 In recent years, Mid-Range Prone (500 & 600 yds) has become a popular event. Prone means lying down, holding the rifle without a rest but using a shooting coat and sling. A variant of the sport grew up in Canada called "F-class". The origin of F-class was that a Canadian Target Rifle shooter (prone), Mr Farquarson, wanted to carry on shooting after he got too old to hold the rifle and use iron sights, so he added a rest and a scope and called it ‘F’ class. F-class, which is basically "Benchrest" fired off the ground has become even more popular than the original sling/prone variant of the sport. F-class has division called F-TR limiting caliber and requiring a bipod. There is also an open division allowing more calibers and benchrest style sandbags. All F-class allow scopes, big, expensive scopes. The rings on the target are a bit smaller making it a correspondingly more difficult shooting competition. 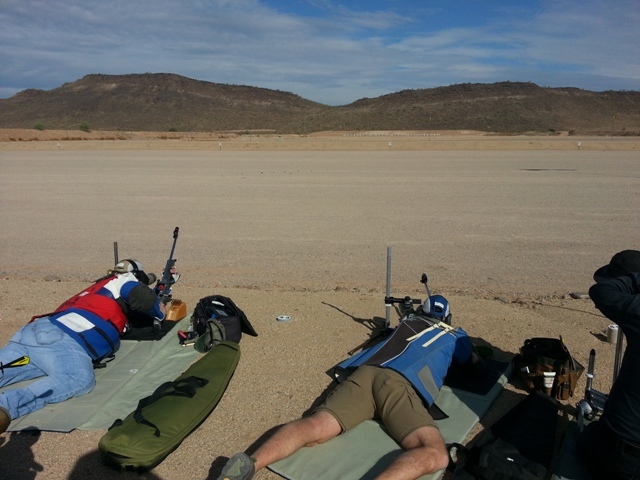 Here in Phoenix, Prone and F-class matches are shot concurrently. Decide which division you sign up for and that type of target will be installed. The distance and time limit are the same. Most Prone/F-class shoots are three strings of 20 (with 2 or more sighter shots before each string) pe shooter. (we split into 2 or 3 relays and take turns shooting or working targets or scoring.) A few shooters have bought electronic targets, so they don't need someone working targets, they just watch their score on their i-pad. 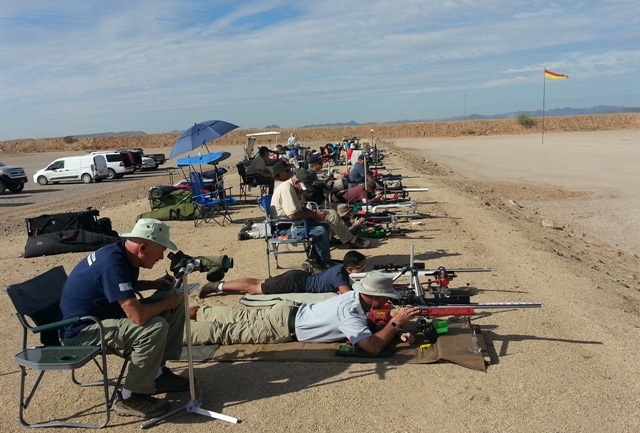 PRGC and RSSC have monthly 500 yd shoots, the nearly weekly shoots at Ben Avery are nearly all 1000yd. Rarely we hold a Palma, 600yd mid range or a 300 yd prone/F-class (technically in NRA terms, 300yd is short range). Tucson has 1000yds. All shoots are open to all shooters! If you want to try F-class, if you have a heavy barrel varmit style rifle, with a scope that has target knobs, a Harris bipod or sand bags. 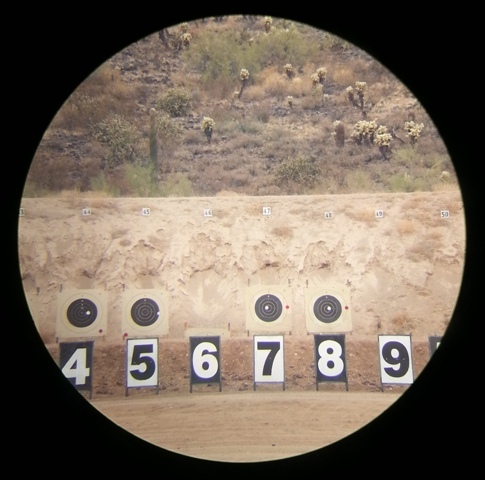 Zero it at any distance, 100yd public range for instance, then calculate the change in elevation for 500yd, adjust the scope accordingly and you will be on paper. Bring 80 rounds to your first shoot. (eye and ear protection of course, and a pen to keep score). Bring a mat or carpet to lie on. You really need a heavy barrel since it will heat up a lot in that 20+ round string. All those new "chassis" rifles like the Ruger Precision are perfect. Brakes are not friendly to those on the adjacent firing points and not permitted in NRA matches or some club shoots. Suppressors are immensely friendly at club shoots, but not permitted in NRA competitions for some archaic reason. 6.5 Creedmoor, 6 Creedmoor, .308 are perfect. Magnums, not so much. .223's only if you have a fast twist for heavy bullets. If you want to try Prone/Sling, your Service Rifle AR-15/M1A/M1 will be perfect for 500yd shoots, less so for 1000yd. Most shooters have some form of NRA Match rifle or Palma rifle with expensive olympic style aperture sights and a heavy shooting coat. Come watch a shoot to see what works best. 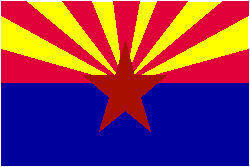 Email questions to arizona@rifleshooting.org . Arizona is repeatedly ranked NUMBER ONE state for shooters!